A non-nail related diy for you, my diy excursion vest. 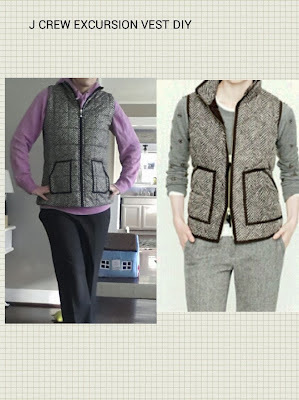 I had been obsessing over this vest, I even got on the waiting list for the factory version this fall, but things didn't work out and my order got cancelled. I know it's only a vest, but I was still bummed. When walmart released a version I stalked the site everday until it was finally in stock. I ordered a small which normally would have been fine, but the sizing on this vest was way off. I figured that for $15 I would just try taking it in myself. I slimmed the sides and added trim. 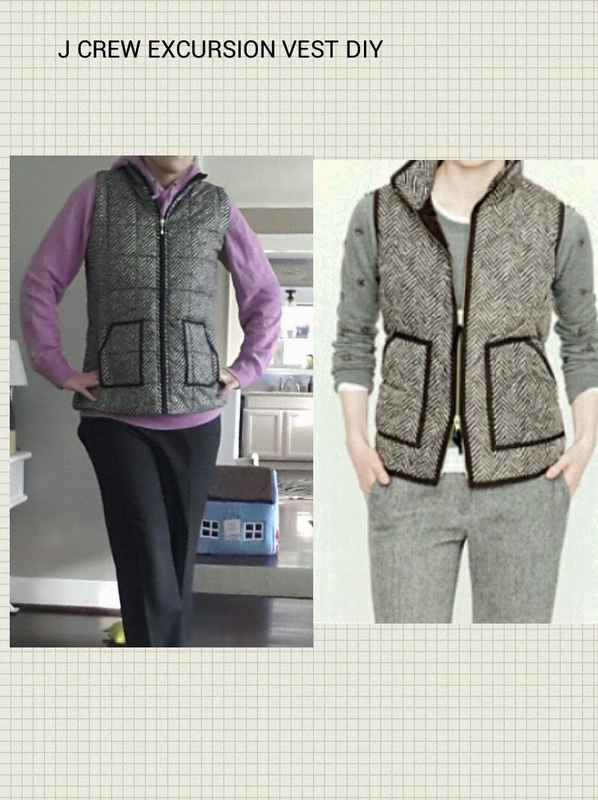 My vest still came in under $20, compared to the $100 or so j crew version. My favorite in a long time!